“Content marketing” is an element of search engine optimization (SEO) that, if used poorly, results in a lot of content without much benefit to your website’s overall ranking. If employed properly, however, content marketing can result in great returns that see your business’s web profile improve and your authority in your field established. The types of content marketing that work depend a lot on how entrenched your business is. If you are a well-known entity, volume can often work as you have proven quality. If you are a newcomer or small business, quantity-focused strategies will often lose out. Here are some tips on how low-traffic businesses can use content marketing to improve their status. Prime Asset: This is a long-form, evergreen piece that draws attention and links by sheer quality of its material. Prime assets are a form of content that will help establish your authority and reliability over the long term. You cover the key bases and go a step farther to offer an enhanced understanding of the topic. These types of content typically include how-to guides or explanatory/analytical pieces. Linkable Content: Also known as “link bait,” these are similar to prime assets but rely more on attention-grabbing titles or novel subjects to attract interest. They are not as in-depth as prime assets but can be produced more easily. Quick FAQs, news items, or “listicles” are some examples. Note: some linkable content is designed to target long-form keywords and often goes into more depth than normal about a niche topic. General Content: These pieces are aimed more at existing readers rather than at attracting new ones. General content helps maintain existing readership and provides a reason for people to revisit your site. It also helps maintain communication with your audience and can potentially open dialogues. More specific or niche pieces, interactive posts, or general subjects tend to fall in this category. Using a careful mix of these content types will help build traffic and develop a stronger online presence. Networking helps with more than just job searches. Forming connections with other blogs or websites can help get your business promoted, but the tricky part is doing this without seeming desperate to the people from whom you want to enlist help. How you use a platform to build relationships will vary depending on what the specific format is. Blogs: If you know of more established blogs in the same niche as your business, try to frequent their site and offer comments on articles. Don’t worry about promoting yourself just yet. Instead, focus on offering some insightful or helpful feedback, answer questions other commenters may have, and generally be a contributing member of the community. Then, propose some sort of cooperation with the other blog’s writer, like exchanging guest posts or maybe asking for links to product reviews or even if you can do an interview with them. This approach helps make it clear you aren’t just trying to ride on someone else’s popularity but have an active and shared interest. Twitter: Similar to blog comments, following bigger names on Twitter and contributing to their discussions can help establish dialogues and form connections. Many of the same ideas apply: don’t be too pushy, take time to establish yourself as a friend, etc. As an added bonus, Twitter can also let you connect with your audience and customers and allow them to talk to your brand as if it were another person. This affords more casual and friendly relationship building than would be possible by other means. Roundups: A “roundup” is a specific type of content piece in which you basically take what you feel are the best new pieces of content from the past week/month/year within a specific category and post links along with some thoughts on what makes them rank. You can let the linked blogs know they’ve made the list if you like, which can be a better way to start a conversation than just contacting someone out of the blue. Ideally, a blogger might make a post of his or her own to let readers know that he or she made this list and offer a link to your site. It’s even possible the blogger will look at your other content out of curiosity and find something else they like. Group Analysis: This is another type of content where one or two questions are posed to a number of different bloggers and/or authorities and their answers are compiled and presented. The success of such a piece will depend on both the people you consult and the questions you ask. Ideally, choose a question that is likely to have a more open-ended or subjective answer or one that is based on a recent industry development. It’s fine if there’s a chance that some of the people give similar answers, but you should aim for potential variety when you can. Numero Uno Web Solutions is a provider of search engine optimization, content marketing, and mobile optimization solutions to startups and small companies from all industries and fields. We stay on the pulse of industry changes and adapt our practices to produce quality SEO and mobile optimization plans to fuel the growth of businesses across communities. 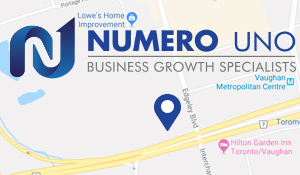 Contact us at info@numerounoweb.com or at 905-856-2012 for content marketing in Toronto, and learn how we can help improve your search profile across all platforms.